Wyatt demonstrates an inspired flair for action in this scandal-ridden Hollywood mystery. A private detective and his martial arts–adept assistant chase a deranged killer who changes identity with superhuman ease in Camden Wyatt’s fast-paced Murder by Masquerade. A sequence of discrete scenes introduces the principal characters and circumstances of this murder mystery. Private detective Axel Hawk and his assistant, Zoe Burns, are hired by Lacey Sills, a shapely blond actress, to find her good friend Montilladan, a swashbuckling actor who apparently fell to his death on a movie set. But she reveals a shockingly intimate fact that implies he survived. Replete with multiple clues, false leads, and larger-than-life characters, the action takes place during a single week of frantic sleuthing around the Los Angeles area. Some characters are not quite the personalities they seem to be, as they behave in ways that make them seem sinister or arouse speculation about possible guilt. Physical description and body language are used to define the characters. For instance, Axel and Zoe named their computer expert Thumper because of the way he pounds on the computer keyboard. Additionally, each character exhibits specific mannerisms, such as the exotic therapist, Dr. Montoya, whose repetitive body language suggests nervous unease. Axel, a romantic frequently distracted by beautiful women, is an amateur Shakespearean actor who quotes from the bard’s plays. Zoe trains rigorously as a martial artist and serves as a calm counterpart to Axel’s impetuousness. Wyatt demonstrates an inspired flair for writing that provides promising narrative momentum to Murder by Masquerade. Action is fast paced throughout the novel, particularly exemplified in the scene where Zoe and Axel discover a trailer hidden within a rundown warehouse packed with old movie paraphernalia. Tensions are heightened successfully as they escape from the warehouse, which someone has set on fire, through a maze of mannequins so real they might be alive. Numerous grammatical errors, most notably incorrect pronoun usage, awkward syntax, misspelled and invented words, and clichés, detract from that promise. Repetition of information, overuse of modifiers, and several distracting deviations from the plot also hinder this book’s readability. The change of Montilladan’s persona when he morphs into a dangerous megalomaniac, behavior that seems to be exacerbated by his use of an experimental drug to accomplish multiple physical disguises, challenges credibility. 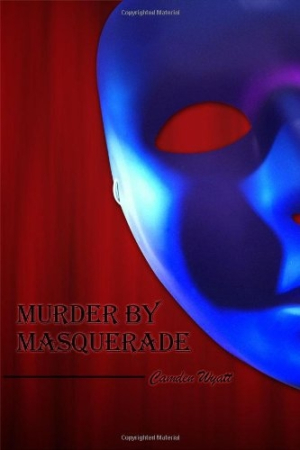 Murder by Masquerade offers an entertaining read for those who enjoy a thriller tinged with romance and set against a glamorous, scandal-ridden Hollywood backdrop.